itman has been a storied franchise. One that’s know highs and lows through its almost 16 years as a series. With the impending release of the next “full” instalment Square Enix have chosen to push the puzzle variant, Hitman Go, to new platforms. 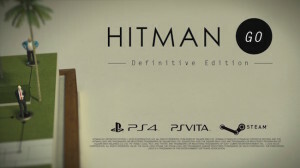 Where many thought the series had started to lose its way and fans were split over the last full release title, Hitman: Absolution, what many players and critics alike agreed on was that Hitman Go was a superb entry in to the series when it was released on mobile devices back in April 2014. This praise was earned with good reason. Hitman Go was, and still is, a very striking looking game. 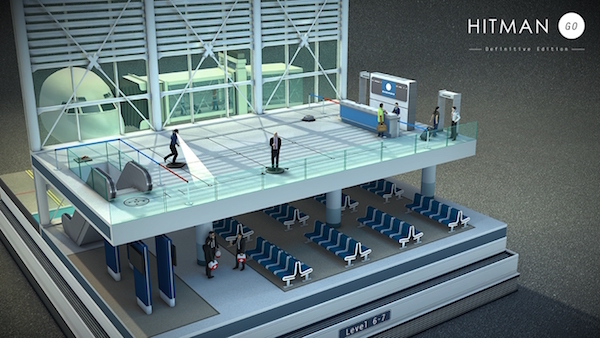 Clean, CAD-like, visuals are used to show us an almost real world Hitman board game. It looks like a concept for an MB board game from the 50′s at times, which, surprisingly, is a great look. The idea of the game is to complete a series of objectives during a level and exit. Pretty much the same as the fully-fledged releases to be honest. As in those titles you have multiple ways to complete an objective. You could choose to get out of the level as quickly as possible. You could kill everyone or let them all live. You could collect that tantalisingly close secret briefcase, or make life easy and just not. All of these options are viable and all offer their own rewards. Each option in a level will earn you a completion star. Most levels have upto 3 stars to collect and you can do so by completing each of these objectives. The more stars you amass the faster the later game sets are unlocked. Each with it’s own look and feel and offering alterations to how you approach levels as well as new enemies. The interface translates beautifully to the PS Vita; it is a touchscreen device after all. Simply swipe in the direction you want to move Agent 47 and he will perform one turn (as will your foes). That might be simply moving a square, but it could equally be diving in to a pot plant, throwing a distracting rock or sniping an enemy. For those not in the mood for the touch then Hitman Go also makes use of the directional controls as well. Either works just fine. As does playing the game on either a PS Vita console or on the much ignored PS Vita TV. Expansion to the larger screen and the use of a Dual Shock 4 work just fine, although I felt the game lost some of its intimacy when not in my hand. 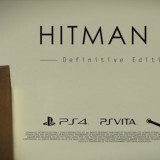 Where the Definitive Edition of Hitman Go differs is that it ships with the additional content that was trickled out to the mobile versions. It also features a much more forgiving hint system. Yes this puzzle title has a hint system but it’s never really in your face. Simply press the Hint button and choose how you’d like to complete the level in question (No-kills, under 20 turns etc). It will then load in the level again, this time in washed out tones, and proceed to show you the path to take to complete the level as you’d want. Now, this feature, is needed in many respects. It helps you get to grips with some of the trickier concepts and stops you getting stuck. On the mobile version this system was in place, but you had a limited supply of Hints. Not so on the console. The only downside to using this system is that you will not unlock a Trophy/Achievement at the completion of the game. If that’s not a concern, then it can sometimes be very tempting to just walk through these levels when they get tougher. Hitman Go is a solid puzzle title. Offering many hours of play for the moderate price you really can’t go wrong. Even for non-fans of the series or those who’d normally stay away from a puzzle title I still have to say this would be a recommend as the flexible Hint system takes the frustrations out. The double edged sword of the Hint system though is that you could just walk through the game and rob yourself of the enjoyment of cracking a fiendish level. 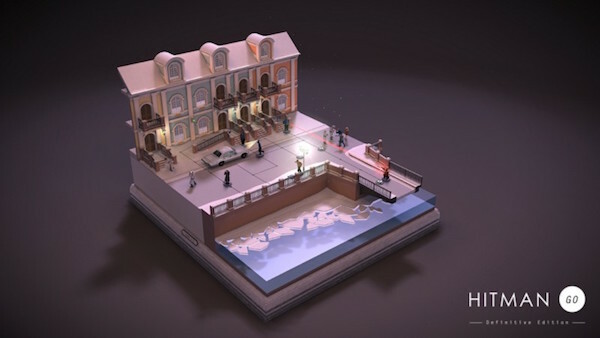 Hitman Go has been, in my opinion, surpassed by Lara Croft Go in the past year but that doesn’t stop Hitman still being a worthwhile title in it’s own right.